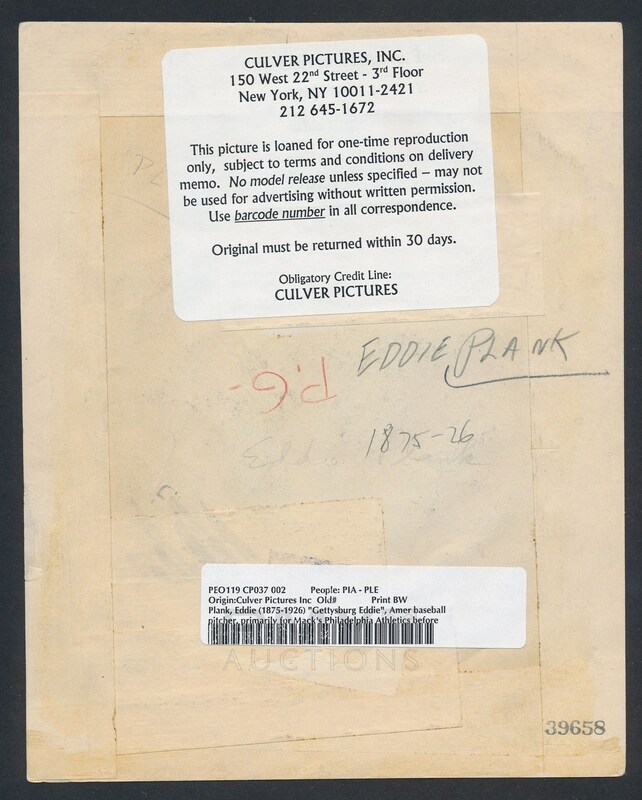 Lot # 7: 1915 Eddie Plank, "Philadelphia Athletics Hall of Famer" One of His Best! 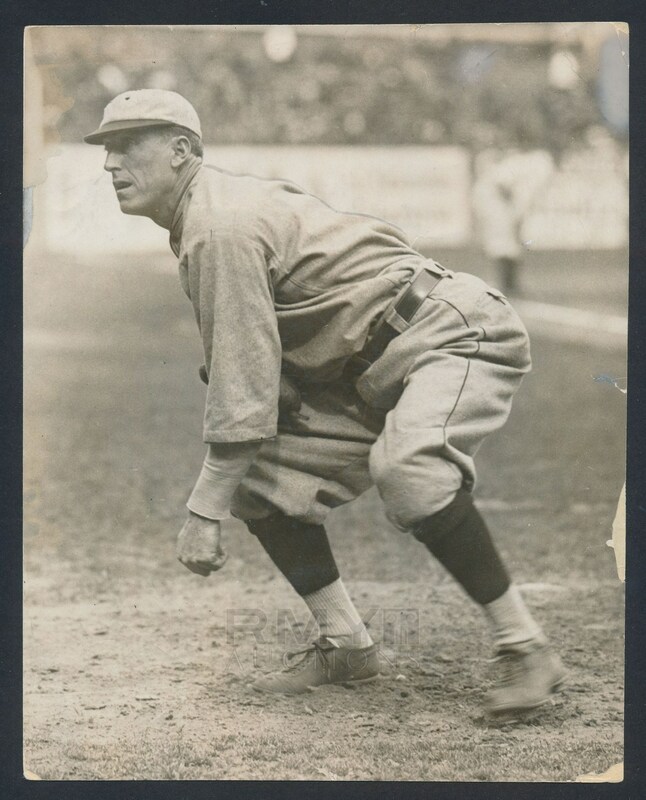 1915 Pitching action photograph of Philadelphia Athletics Hall of Famer Eddie Plank showing his dramatic follow through for an unnamed photographer (possibly Louis Van Oeyen). One of his finest photographs ever taken, this was used for countless magazines and periodicals as well as commemorative baseball cards with this being the ONLY vintage example we know of in the hobby. The image quality is outstanding with a few edge chips away from the figure of Plank being the only flaws.